What Brands Does Shiseido Own? Japanese-based cosmetics company Shiseido boasts over 21 brands and lines of beauty products. While many of its products are distributed only in Japan, Americans spend premium prices to purchase the hair styling products, cosmetics and moisturizers. Globally, including in the United States, Shiseido distributes an array of products found mostly in high-end department stores. The global brand Shiseido produces a variety of consumer and professional beauty products, including an array of moisturizers and makeup. Non-Japanese lines include White Lucent, The Makeup, Future Solution LX, Joico, Cecleor and Carita. In Japan, Shiseido produces a variety of lines under the Shiseido name including Maquillage, Elixir White, Benefique, Aqua Label, Integrate, Uno, and Qi. Other non-Shiseido brands include d'Ici La and Soka-Mocke. Many of the Japanese-only products have become cult favorites in the United States. In 2010, Shiseido acquired Bare Escentuals, which pioneered mineral cosmetics. The top brand produced under Bare Escentuals is BareMinerals, a mineral-based foundation that contains no additives or fragrances. NARS cosmetics, founded by stylist Francois Nars in 1994, boasts over 400 makeup products sold on a global level. 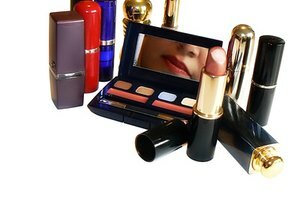 Shiseido acquired NARS Cosmetics in 2000. Beauté Prestige International S.A. is a global fragrance house based in Paris, France, which produces fragrances for many fashion designers, including Jean Paul Gaultier and Narciso Rodriguez. Shiseido owns a variety of Chinese-only brands, including Apres, DQ and Za. DQ broke Shiseido into the Chinese drugstore market with products geared towards more budget-conscious buyers. What Is the Difference Between Levi Straus Signature & Levi's?